Music is a voyage of discovery. 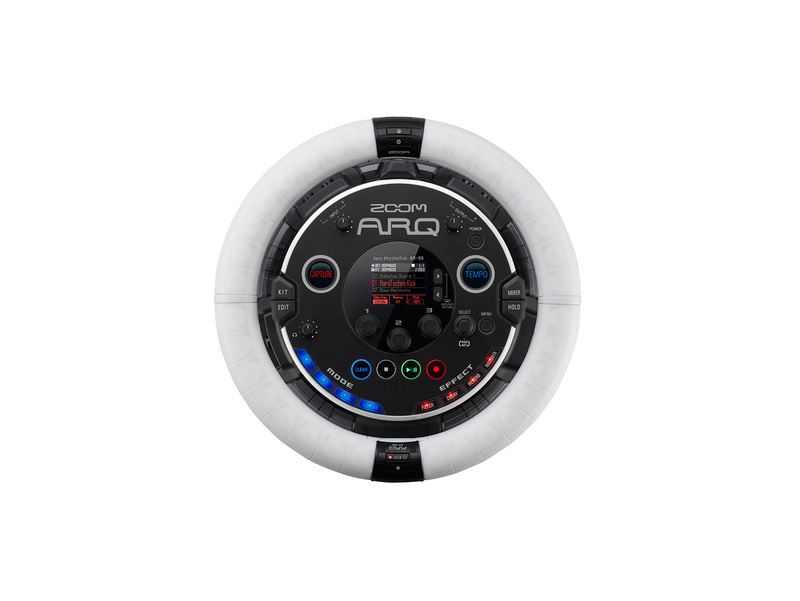 One that now goes much further with the creation of the ZOOM ARQ AR-96 Aero RhythmTrak. 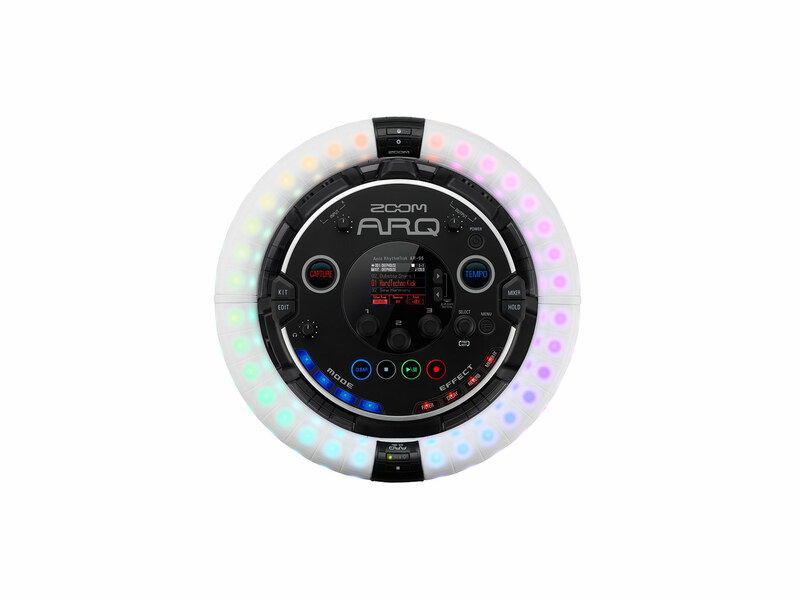 The ZOOM ARQ AR-96 Aero RhythmTrak is an all-in-one production and live performance instrument which includes an integrated drum machine, sequencer, synthesizer, looper, and MIDI controller with a built-in accelerometer. Even more, ARQ is freedom. With its wireless Bluetooth® Ring Controller, you can escape the booth, move the music, and get in front of the crowd. audio inputs enable phrase recording and looping. out the note range of the instrument selected. accidental triggering of the pads under your hand. Ring is placed on the Base Station. 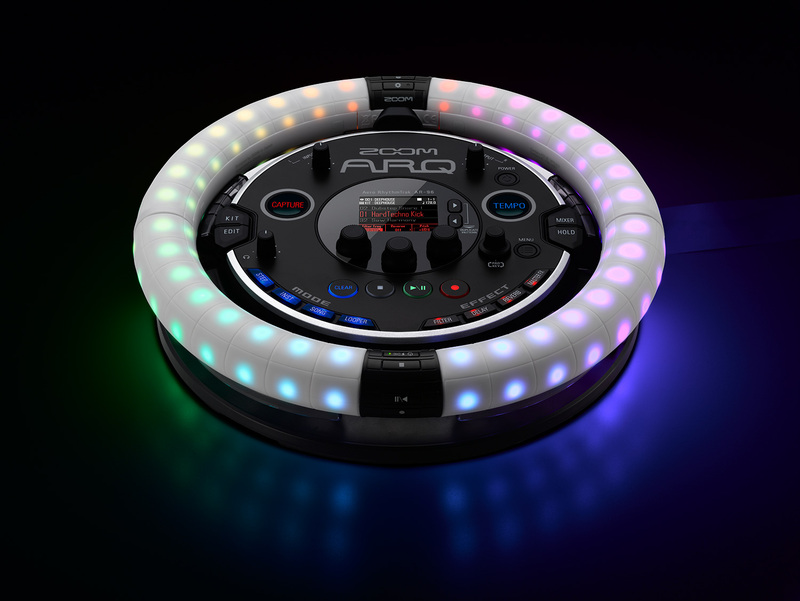 To further expand your music-making possibilities, you can load also your own samples into the ARQ. Simply import WAV files into the internal synth engine's oscillator and you're ready to edit them like you would a sampler. 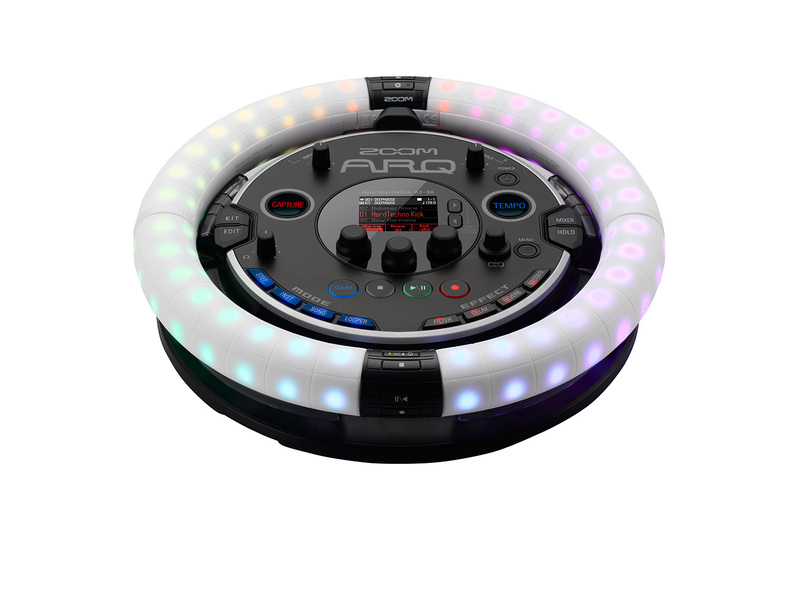 Not only does ARQ AR-96 allow you to create incredible drum parts and patterns, but you can also use the Ring Controller as a live instrument. 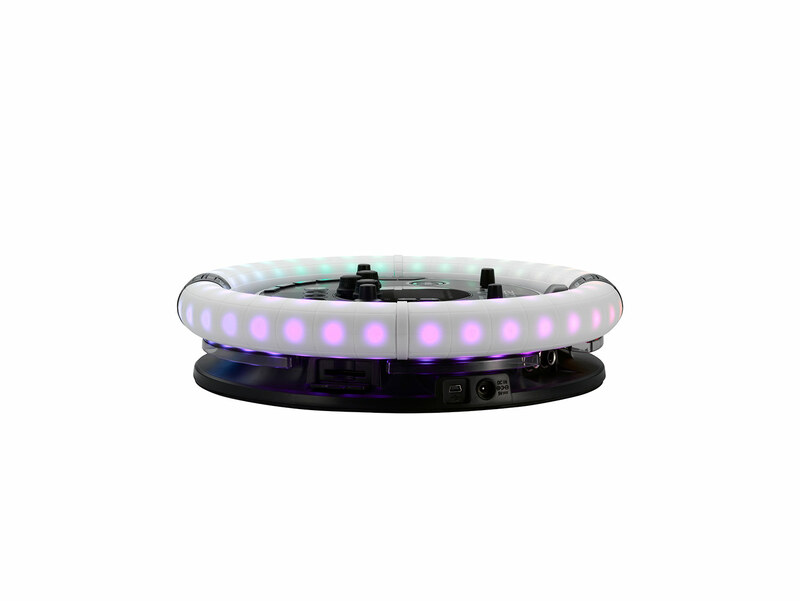 Play it while mounted to the Base Station, or remove it to take your performance to the front of the stage. 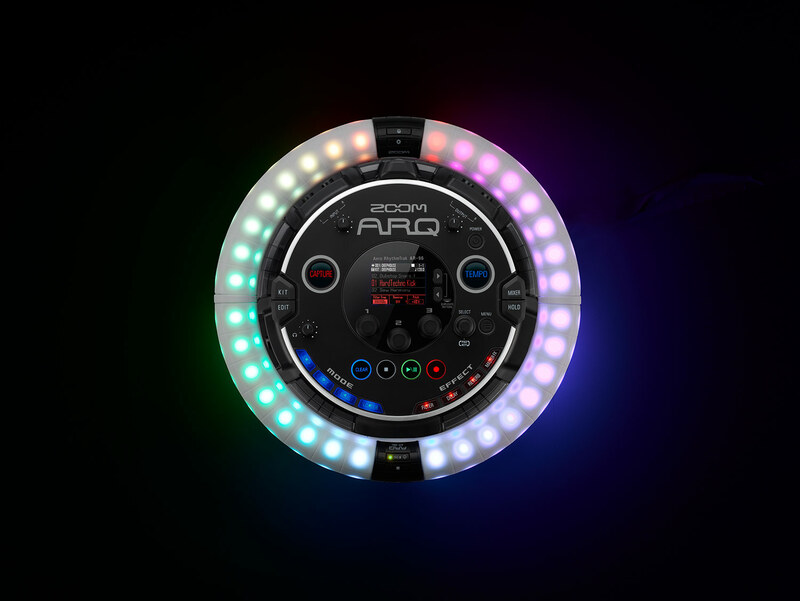 ARQ comes with a multitude of PCM drum and instrument sounds which you can edit right on the unit during a live set These can be organized into 384 genre-specific kits.The ARQ’s Instrument Mode lets you easily view and edit pad and scale layouts, so you can make adjustments in real time. You can also develop 20 kits of your own, complete with effects. 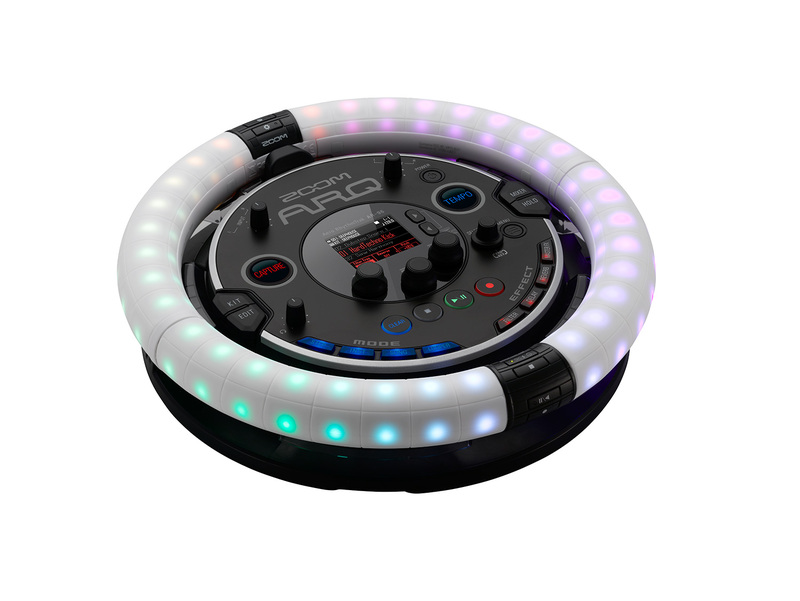 Once you perform with the AR-96, you'll never use another drum machine again. Traditional devices take a linear approach to sequencing, but the AR-96 is anything but traditional. 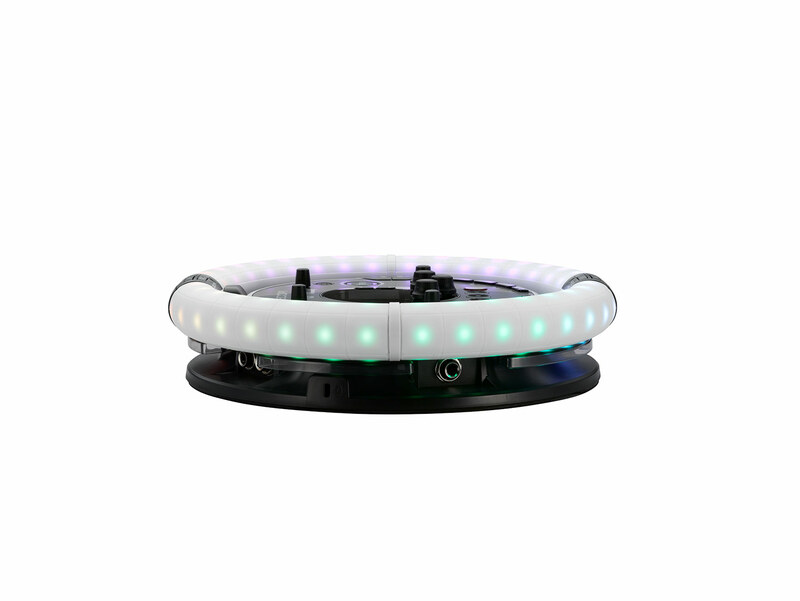 For the first time, you can visualize your music as a true loop, up to 5 parts at a time. Individual patterns or complete songs can be constructed one step at a time or by recording a real-time performance, with an onboard mixer for setting volumes, muting, and soloing. Instruments can be assigned to single or multiple pads and up to 3 parts can be created at a time. Up to 33 parts can be played back simultaneously, and the timbre or note of each part can be changed with the touch of a button. 384 patterns can be combined in any order to form a complete song, then flattened into an audio loop that can be played back from a single pad—all without the use of a computer. To simplify pattern creation, ARQ V2.0 has a new arpeggiator function which includes standard, polyphonic, and sequential settings. 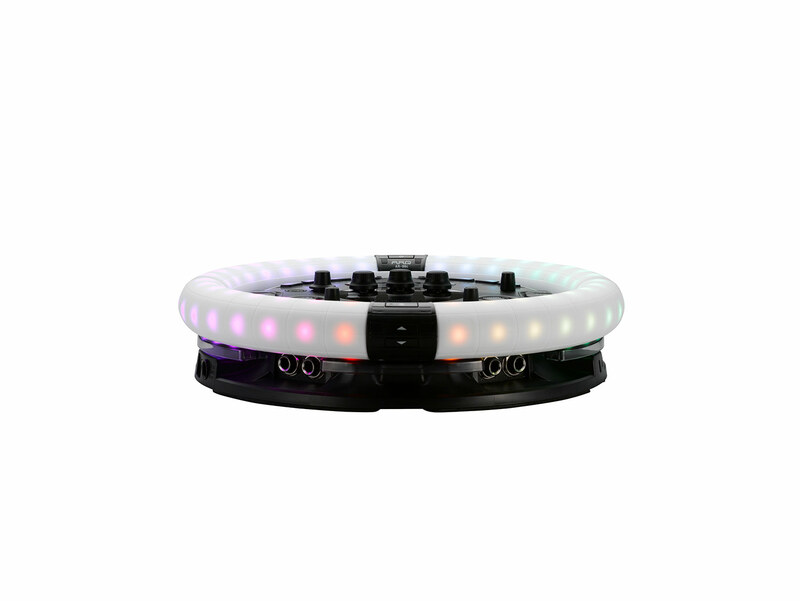 You can control the notes and the repeat rate of the arpeggiator with the AR-96’s Ring Controller. And an updated Pad layout provides a visual guide for instrument sequencing, while the Scale now layout allows you view and edit pad length. The AR-96's powerful sound engine offers 468 sampled waveforms that can be pitch-shifted as they are played over multiple pads—as well as 70 types of synthesizer sounds that allow you to build completely original timbres. Choose from 538 different oscillator types for sonic variety, then add digital effects such as filtering, delay, and reverb, along with sound-shaping controls like envelope generators and stepped or smooth modulation. lets you assign knobs to specific functions. edit, backup, and erase patterns with ease. The AR-96 allows you to create completely original loops from onboard sounds or patterns, or by capturing external audio. Set start and end points, change the pitch if desired, choose between forward or reverse playback, then assign each loop to a different controller pad. 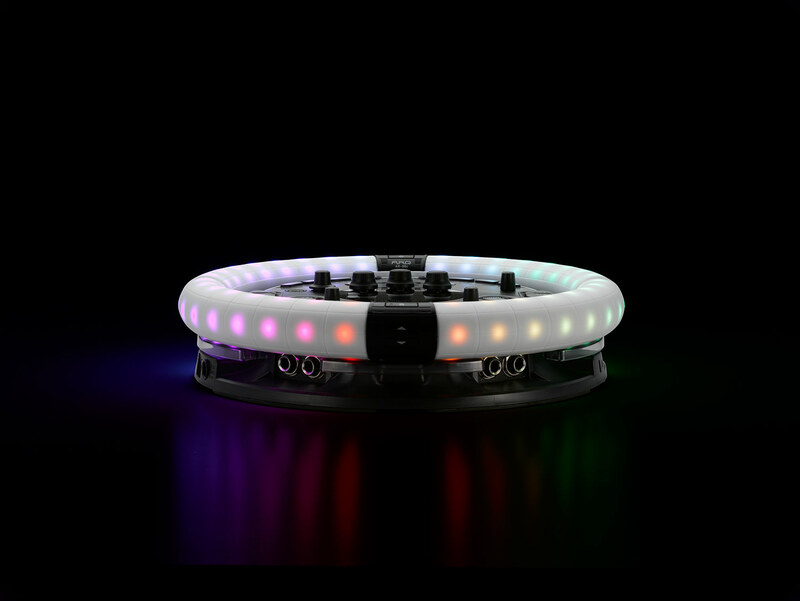 Up to 16 loops can be played simultaneously and synchronized to the same tempo. ARQ makes creating loops a lot more fun. 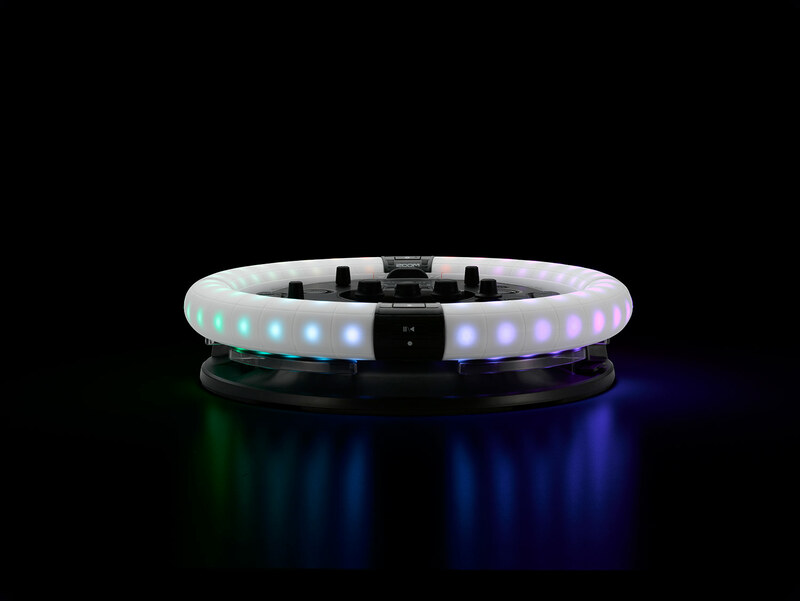 Use the Ring for wireless control of all your MIDI instruments and devices connected to your computer—samplers, synths, and drum machines, as well as MIDI-enabled effects processors. Its 96 pads are velocity-sensitive and can also send aftertouch (MIDI messages generated based on the pressure applied to the pads once they are being held down). during live performances or in the studio. Take your performance to places you've never been before. Express yourself and get closer to your audience. Open up a world of new options for music production. Create in ways that were simply not possible until now. The Zoom ARQ AR-96—see how instrumental an instrument can be. 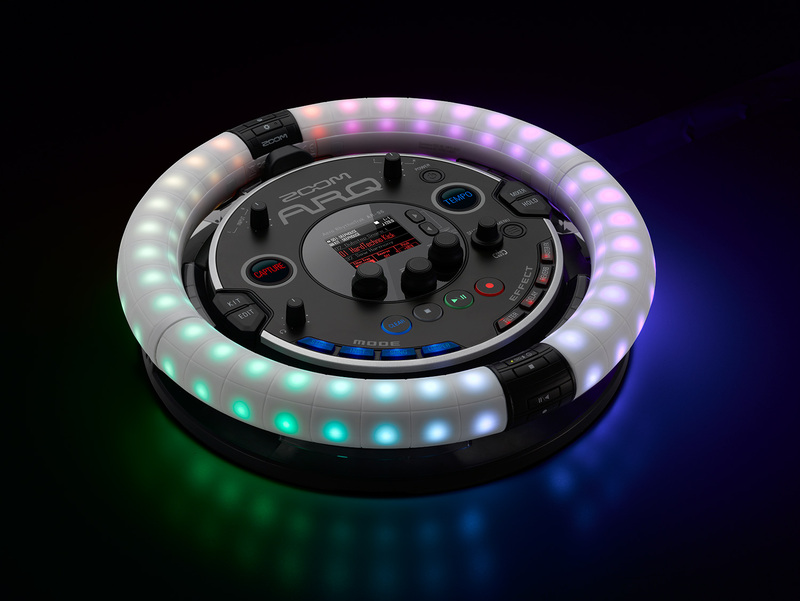 With the ARQ and Ableton Live 9 Lite, you have everything the modern music creator needs. Record your tracks quickly and intuitively, enhancing them with studio-quality effects like EQ, compression, reverb, delay, chorus, filter, and more. Plus, Ableton’s performance workflows let you take your music to the stage where you can mix and record live.